Self-directed IRA real estate strategies are growing in popularity as investors learn of their unique ability to offer access to working capital. 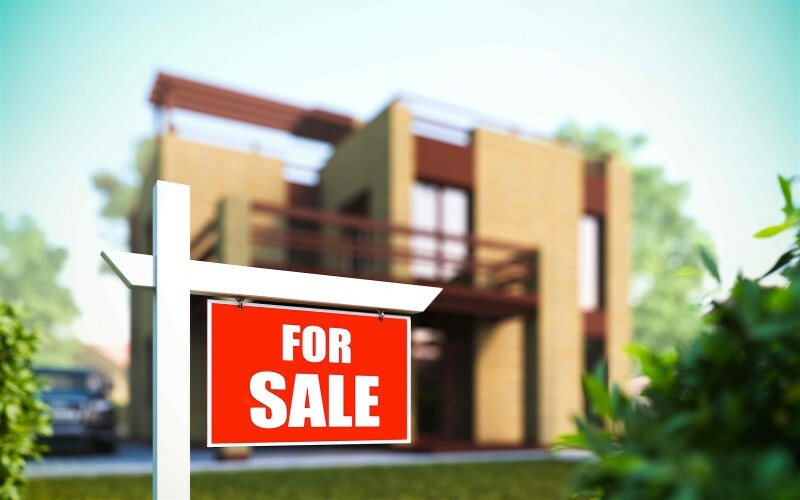 There are a number of self-directed IRA real estate rules investors need to abide by if they want to use their retirement accounts to acquire real estate. Buying real estate with IRA funds coincides with several pros and cons you need to be aware of. There is no shortage of financing options made available to today’s most resourceful investors. From conventional loans to private and hard money lenders, there are countless ways to secure working capital. It is worth noting, however, that there is one alternative far too many investors have a tendency to overlook: their own retirement accounts. It is entirely possible for those looking to finance an investment property to utilize a self-directed IRA (individual retirement account). A self-directed IRA awards investors the ability to exercise more freedom over their investment choices, including stocks, partnerships, mortgage debt, precious metals and even real estate. That’s right: the Internal Revenue Service (IRS) will allow investors to transfer their retirement capital from an IRA into qualifying real estate assets, not the least of which include single-family, multifamily, commercial real estate and other types of properties. As a result, IRAs have become an important tool for simultaneously tapping into capital and diversifying one’s own portfolio. Many investors have already benefited from their own self-directed IRAs. Continue reading to learn more about how using an IRA to buy real estate could be the right choice for you. A self-directed IRA works much like a traditional retirement account, except it allows for two things: more control and the ability to invest in alternative assets. This approach allows investors to direct how and where their money is invested. Naturally, this strategy incorporates a higher risk and will take considerably more work on the part of the investor, as the majority of responsibility falls on them. However, it could pay off for those that do so wisely. There are rules to abide by when using a self-directed retirement fund. The inability to follow these rules, which are set forth by the IRS, will result in penalties––which could ultimately derail one’s retirement. That said, it is imperative individuals have a clear understanding of not only the financial landscape of their retirement savings, but also the rules they must abide by. Cannot be used to purchase property owned by you or disqualified person. Cannot have “indirect benefits.” This means any type of profits from the investment must provide for your retirement, whether now or at some future date. This indicates that investors cannot benefit from profits today or rent space from the building that your self-directed IRA owns. Real estate can be acquired without 100 percent funding from the self-directed IRA. Investments that use financing must pay UBIT (unrelated business income tax). All expenses from investments (maintenance, improvements and property taxes) must be paid from the IRA. All earned income goes back to the self-directed IRA. The first step to financing an investment property with a self-directed IRA is the paperwork. In most cases, this will begin with an investor locating a property, drawing up a purchase agreement and agreeing to an earnest money deposit. It’s important to note, however, that funds for the deposit must come from the IRA’s cash balance rather than their personal checking account. The next task when using a self-directed IRA is to sign all purchase contract documents, including the countersigning by an IRA custodian. Because IRS regulations require a custodian to hold the IRA assets on behalf of the self-directed owner, they will essentially perform the administrative duties, including any addenda or amendments to the purchase contract. The next component to consider is the deposit. IRA account owners will need to send the earnest money deposit funds to the title/escrow company using their IRA custodian. That said, it’s critical that sent funds are not from an IRA account owner’s personal account, as this will essentially constitute a prohibited transaction. This step will include the IRA custodian reviewing all documents to ensure the investment is suitable for administration, including no prohibited transactions. Known as the review process, this stage includes a preliminary title report for the property (confirmation the seller is on the title and is not a disqualified person), a proposed grant deed (which will highlight who the buyer/owner is, who the custodian is, including the owner’s address), escrow instructions from the title/escrow company (with initials and signatures), a final settlement statement (with initials and signatures), and completed custodial forms. Once all the funds from the self-directed IRA are in escrow and documents have been signed (including the grant deed), investors can begin moving forward with their investment. At this stage, they are free to sell the property, rent it or lease it as they choose. However, according to the rules of self-directed IRAs, investors seeking to rent or lease a property are required to enlist the help of a third-party property manager to gather rental payments and forward them to the IRA. This process ensures all income from the property is paid to the IRA account. Like any investment in real estate, the importance of performing the necessary legwork in the beginning stages is critical to success. As a real estate investor, it’s critical that due diligence is always a check box on your to-do list, as this will essentially ensure you’re not sabotaging your investing efforts. In addition, when it comes to using self-directed IRAs to finance real estate, it’s especially important for investors to consult a tax professional before getting started. Not surprisingly, IRA real estate investing has become synonymous with pros and cons. Therefore, it’s up to each individual investor to determine whether or not the positives outweigh the negatives. Authority: The biggest benefit of a self-directed IRA is control. Instead of earning subtle returns on typical retirement options like ETFs, mutual funds, bonds and stocks, which are generally controlled by others, investors have the ability to choose alternative investments like real estate. Done correctly, this investment strategy can cultivate a significant nest egg for those looking to upgrade the financial conditions in retirement. Tax Deferral: Another major benefit of a self-directed plan is the ability to grow your retirement savings in a tax-deferred or tax-free environment. This investment style enables individuals to reinvest profits from real estate investments, including rental income and capital gains, into other investments–tax free. That said, it’s important to mention that tax deferral with a self directed-IRA only applies to the money you’ve attributed–and not any outside financing. For example, a property would need to be financed using funds from a self-directed IRA. Although self-directed IRAs offer immense value in terms of tax deductions and deferral, individuals should consult a tax professional when in doubt. Asset Protection: A self-directed IRA, like any other IRA, is afforded protection from federal and state bankruptcy law. By definition it’s a trust, which means it is a separate entity from the owner and has its own set of asset protection. In return, this protects investors from creditors coming after them. Higher Returns: The aim of using a self-directed IRA for real estate is to leverage your retirement savings in order to accrue a much larger nest egg, at a much faster rate. Compared to traditional IRA investments, this approach can yield significant returns for investors, helping to further cushion retirement. Approval: In order to take advantage of a self-directed IRA, a third-party custodian will be required. This account holder, which must be approved by the IRS, serves as an intermediary between the investor and the issuer of an investment, with the custodian having permission over the release of funds. Their job is to track and report contributions to and distributions from the account to the IRS. Because the custodian is simply a guardian of the account, they perform no diligence regarding investments. Restrictions: The inability for self-dealing is another disadvantage of using a self directed IRA. Generally speaking, those you have a 50 percent interest in, whether it be a spouse, immediate family member or company, cannot be involved in any shape or form in the investment. These disqualified persons are unable to receive any benefits from investment transactions. While the real estate market offers a slew of financing options for investors, the use of a self-directed IRA remains one of the better ways to secure working capital. A self-directed IRA is an invaluable tool for growing your retirement, as it gives you the freedom to choose how and where your retirement savings is invested. Have you tried setting up a self-directed IRA real estate? Let us know in the comments below how your experience was.